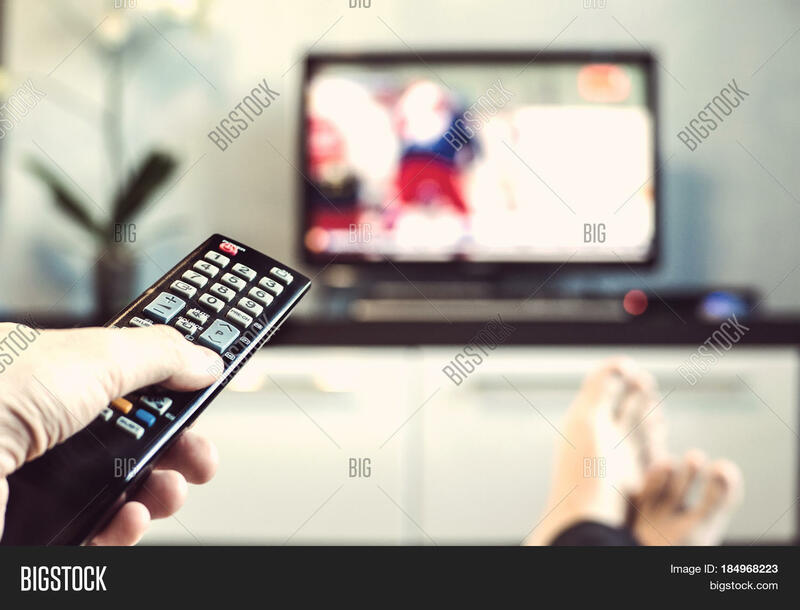 Men with the remote control front of the television. Hand with remote control directed on the TV. 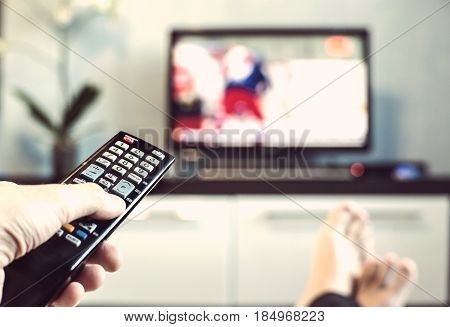 A man is relaxing and watching sports on TV.